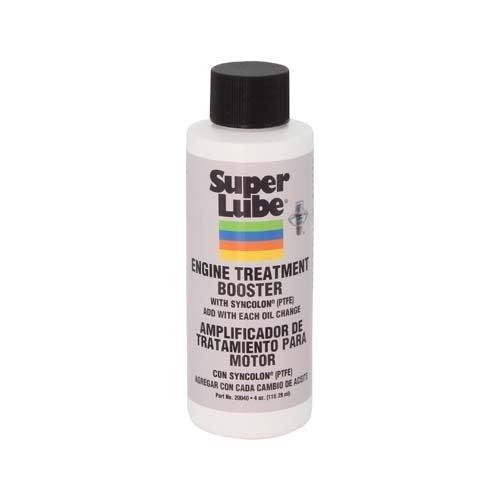 Super Lube® Engine Treatment is a versatile formulation that combines the special low-friction qualities of Syncolon® (PTFE) in a synthetic oil base to bond with metal surfaces and fill microscopic pores, substantially reducing engine wear. The Syncolon® (PTFE) resins attach to critical friction surfaces, especially cylinder walls and bearings. 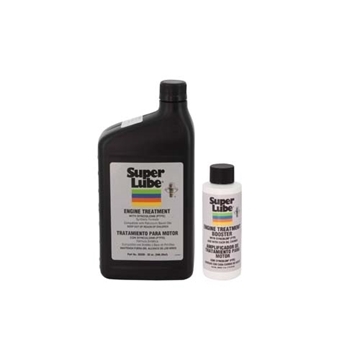 Super Lube® Engine Treatment with Syncolon® (PTFE) protects your engine during cold starts when even the best motor oils are not effective. One treatment protects for more than 50,000 miles. 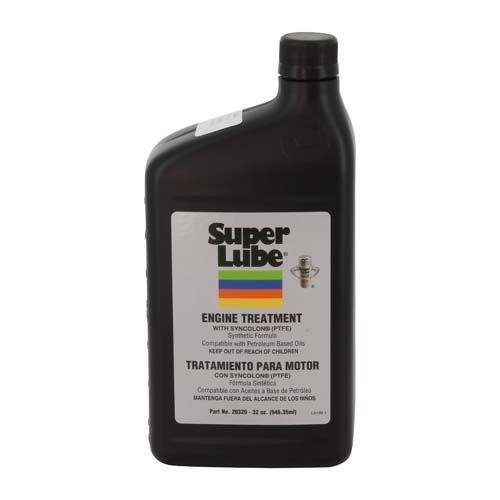 It reduces engine wear and can be used in both diesel and gasoline engines.